I am a Nuco qualified First Aid instructor and have been delivering First Aid at Work courses for over 20 years. First Aid training in the workplace can literally be a life saver and it's important that staff are given high quality training so that if an emergency does arrive they have the knowledge and confidence to deal with it. This qualification lasts for 3 years. To renew the qualification, learners will need to sit the FAW Re-Qual course. However, it is recommended that during the 3-year period, the learners attend annual refresher courses. A maximum of 12 students are allowed and must be a minimum of 16 years of age and a certificate can be offered to all, subject to assessment. 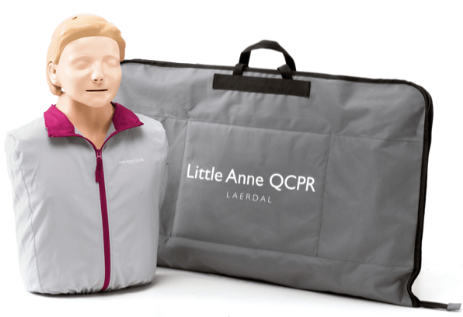 The important thing to remember is that as soon as the certificate expires, the First Aider is no longer considered competent to act as a First Aider in the workplace which may well leave the employer with a shortfall of First Aiders. Therefore, it would be prudent to arrange their First Aid at Work Requalification before they expire. Successful qualification on this course is based on practical assessments conducted throughout the course and written test papers each day. A three year Level 3 Award in First Aid at Work (Level 6 in Scotland) will be issued to the learner, subject to successful assessment. No external assessors are required. A maximum of 12 students are allowed and must be a minimum of 14 years of age and a certificate can be offered to all, subject to assessment. A student cannot assume a responsibility in the workplace until they reach the age of 16, and then it is the employer’s responsibility to ensure that the student is suitable for that role. The certificate will expire as dated on the certificate, irrespective of age. Summative practical assessment is ongoing by the instructor each day, along with a written assessment on each day. A three year Level 3 Award in Emergency First Aid at Work (Level 6 in Scotland) will be issued to the learner, subject to successful assessment. No external assessors are required. "It is estimated that around 60,000 out-of-hospital cardiac arrests occur each year in the UK. Overall survival rates vary across England, but range between 2% and 12%. 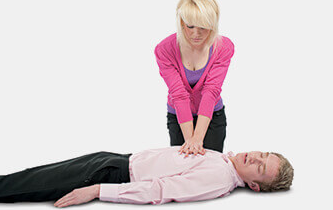 However, survival rates as high as 75% have been reported where CPR and defibrillation are delivered promptly. 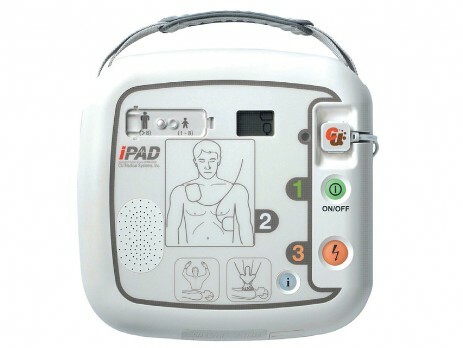 This is why the statutory guidance on supporting pupils at school with medical conditions advises schools to consider purchasing an AED as part of their first-aid equipment." If you have a professional interest, i.e. you are a child-minder or school teacher, etc, then this course partly fulfils the requirements of Ofsted and the Early Years Foundation Stage (EYFS). Ofsted and the Early Years Foundation Stage require you to have 12 hours of paediatric first aid training, so the 2-Day Level 3 Award in Paediatric First Aid would be required to fulfil their requirements. This 6 hour qualification also makes up the first half of the 12-hour course. Summative practical assessment is ongoing by the instructor, along with a written assessment. 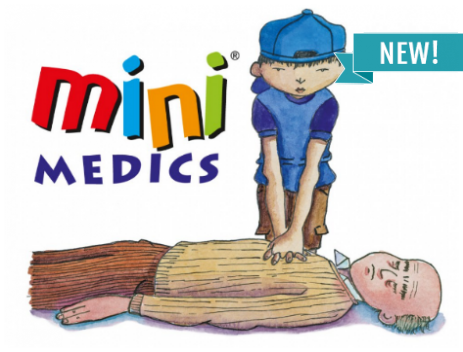 A three year Level 3 Award in Emergency Paediatric First Aid (Level 6 in Scotland) will be issued to the learner, subject to successful assessment. No external assessors are required. This course has been developed for those who are working with children and infants. It will be of particular interest to teachers, child minders, crèche assistants, playgroup personnel and anyone else who has a responsibility for their welfare whilst in your care. This two-day course satisfies the guidelines and criteria as laid down by the Early Years Foundation Stage (EYFS) and Ofsted. In order to obtain this qualification, you must attend both days and complete the two units of accreditation. 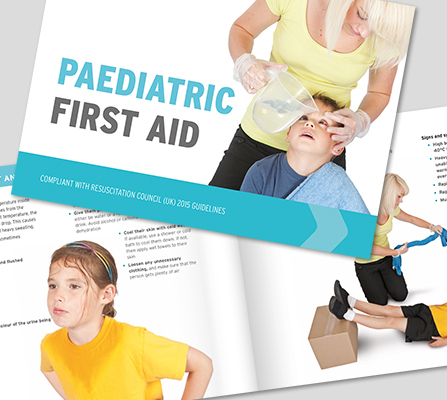 A comprehensive fully illustrated training book to supplement the Paediatric First Aid course is included in your training pack.